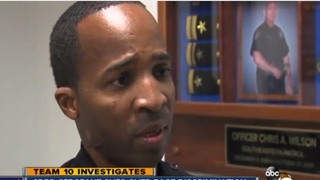 Arthur Scott, a San Diego police sergeant, is suing his Police Department because he believes that a cartoon shown during a training event was “racist” and depicted an African-American officer as a “monkey,” KGTV reports. Scott says that when he tried to communicate his concerns about the video, he “was transferred to a different division,” KGTV explains. Scott’s attorney, Dan Gilleon, expressed how flabbergasted he is that the San Diego Police Department would continue to show such a video. “This is so over-the-top racist,” Gilleon told KGTV. San Diego’s local NAACP chapter weighed in and supports Scott’s understanding that the cartoon is insensitive and that the department should have known better than to continue to play the cartoon during training events. “If it’s OK to do that for training officers, we can't possibly be moving forward,” Andre Branch, president of the San Diego chapter of the NAACP, said.